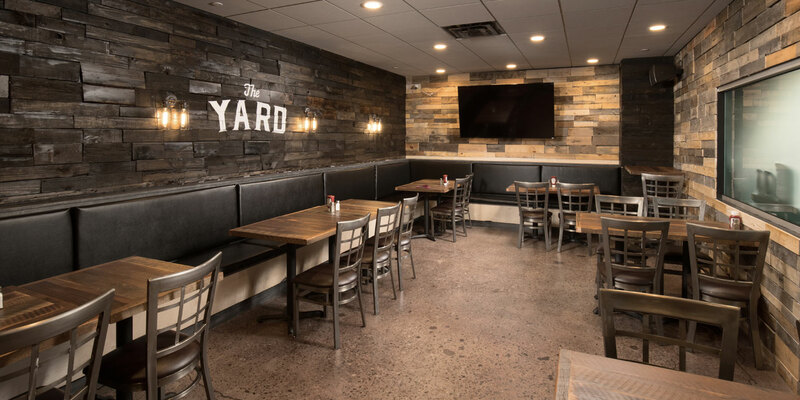 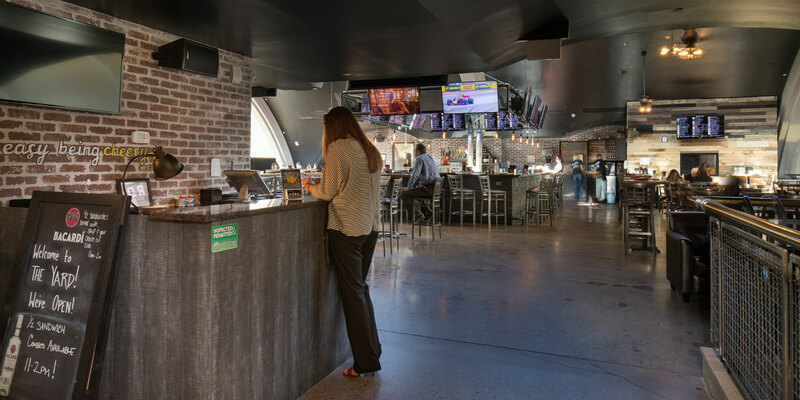 The Yard, which makes the “Official Grilled Cheese of the Pittsburgh Penguins” offers gourmet grilled cheeses, burgers, and craft beers in a contemporary, casual atmosphere. 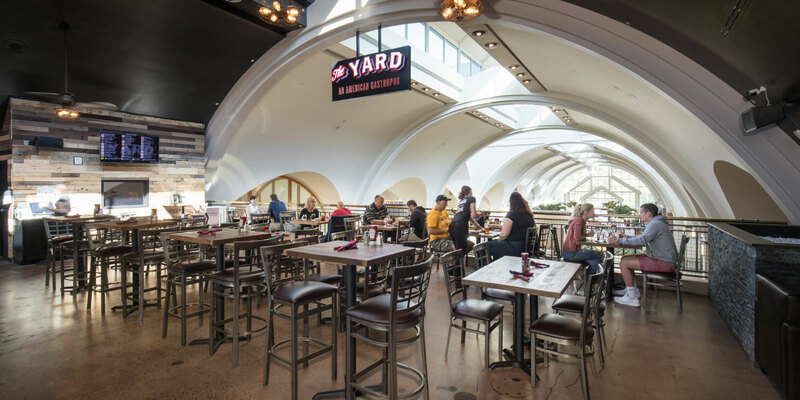 Their new location at The Galleria is their fourth consecutive Pittsburgh location. 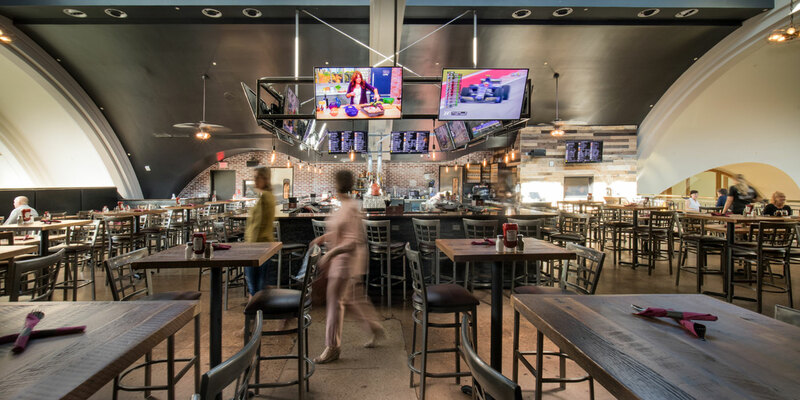 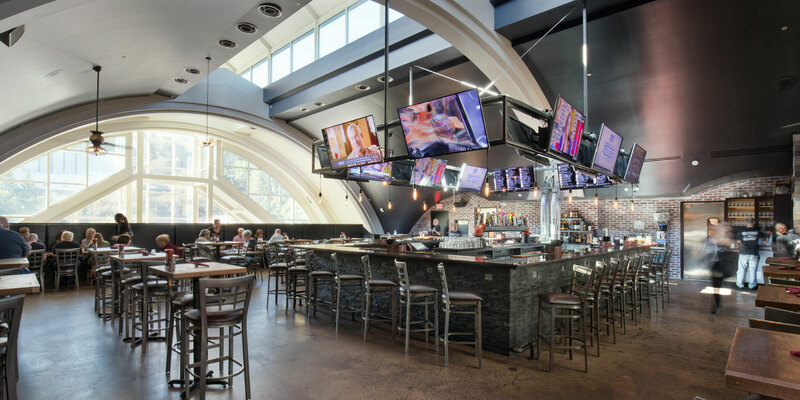 The 6,000 SF restaurant is located on the second floor mezzanine and includes an open seating area, bar, private dining room and a state-of-the-art kitchen. 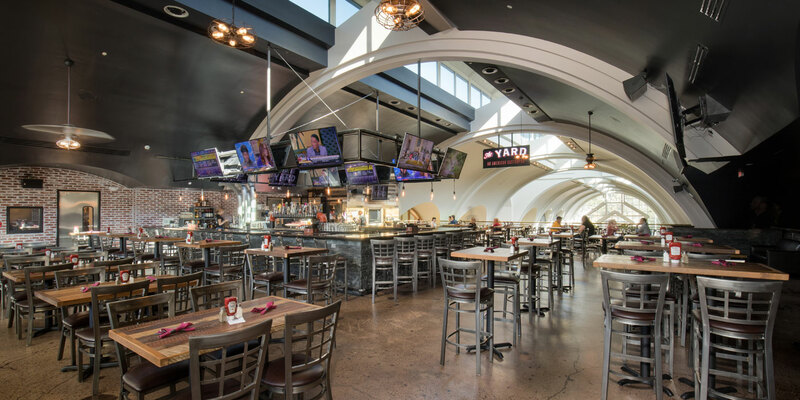 The rustic finishes include reclaimed barn wood, sealed concrete flooring, exposed ceilings, and industrial-styled light fixtures with Edison bulbs. 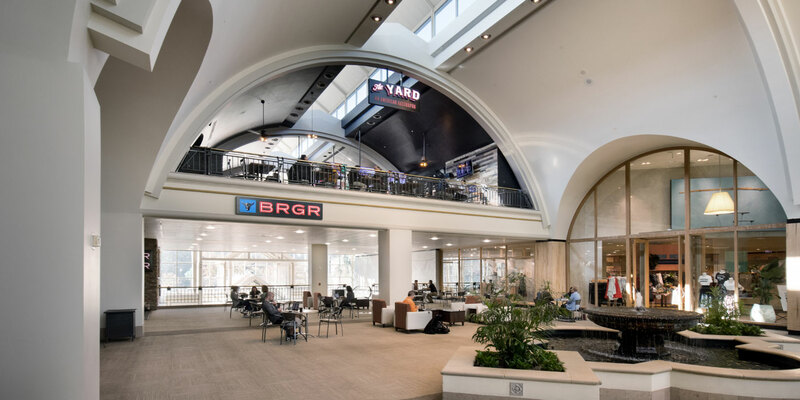 MBM provided design-build services, working closely with the project team at the early stages of the project to provide a design the team had in mind while working within the parameters of an existing space.